It is known that differences in driving styles have a significant impact on fuel efficiency and driving styles are affected by various factors such as driver characteristics, street environment, traffic situation, vehicle performance, and weather conditions. However, existing knowledge about the relationship between driving style and fuel consumption is limited. Thus, the aim of this study was to analyze the relationship beteen driving style and fuel consumption. The analysis presented in this paper used data from three on-road experiments were conducted independently in two different countries, i.e. South Korea and the United Kingdom. In this study, 91 participants, consisting 44 UK drivers and 47 Korean drivers, were asked to drive approximately 28 km of UK road and 21 km of Korean road, respectively. Driving data, including real-time fuel consumption, vehicle speed, and acceleration pedal usage were collected. 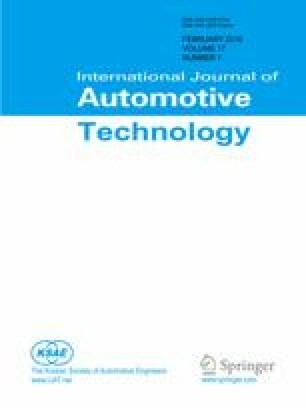 The results suggested that driving styles including average vehicle speed and average throttle position were highly correlated with the real-world fuel consumption, and the cultural factors, e.g. road environment, traffic design, and driver’s characteristics affected the driving styles and, consequently, fuel efficiency.